KERR, WILLIAM JOHNSON, Indian Department officer, jp, and politician; b. 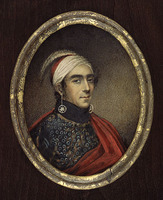 1787, son of Robert Kerr* and Elizabeth Johnson; m. Elizabeth Brant, daughter of Joseph Brant [Thayendanegea*], and they had four sons and one daughter; d. 23 April 1845 at Wellington Square (Burlington), Upper Canada. 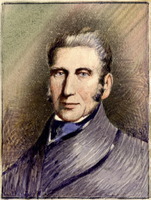 Kerr’s appointment in 1817 to the magistracy of the Niagara District reflected his position as a junior member of the local élite, and like others of that élite he took part in the reform agitation associated with Robert Gourlay*. He was one of the residents of Louth Township who on 20 April 1818 met and approved an address by Gourlay, and he was designated clerk of the meeting. When representatives from various townships in the district met at St Catharines on 4 May, Kerr was elected secretary. 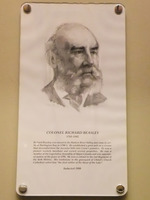 Regional delegates met at York (Toronto) on 6 July, and Kerr became a member of the executive committee of the York convention. 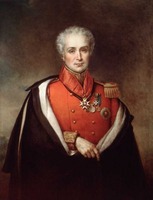 He and George Hamilton met with Lieutenant Governor Sir Peregrine Maitland* to discuss grievances, but Maitland rejected the convention’s petition as unconstitutional. Strong action by the government against Gourlay, and against convention chairman Richard Beasley as well, seems to have made Kerr and others tread cautiously. There was, however, enough sympathy among the electorate to see Kerr gain the seat for 2nd Lincoln when voting for the House of Assembly took place in July 1820. Kerr’s activities on behalf of reform, whatever their motivation, do not seem to have done him any long-term harm. In 1827 he received a commission of the peace for the Gore District, and as early as 1828 he was superintendent of the Burlington Bay Canal, a government-financed project the construction of which, begun by James Gordon Strobridge*, was still going on. By this time Kerr was probably one of Allan Napier MacNab*’s followers. 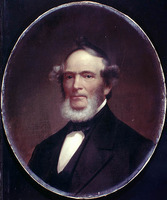 Certainly, by March 1832, when at a raucous political meeting in Hamilton William Lyon Mackenzie* was roughed up, Kerr was one of the tory crowd. He grabbed the diminutive Scot and pulled him down from a table on which he had jumped to speak. Later in the evening Kerr organized some local thugs to thrash Mackenzie. He was prosecuted and fined for his part in the assault. 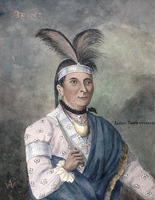 Kerr’s family connections and his role in the War of 1812 had likely always given him a certain amount of influence with the Six Nations. 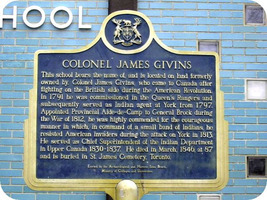 Following the death in 1832 of John Brant, the head chief of the Confederacy, Kerr’s influence undoubtedly increased. 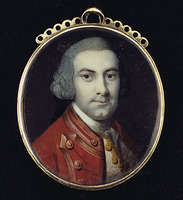 It was the right of his mother-in-law, Catharine Brant [Ohtowaˀkéhson], to name Brant’s successor, and she chose her infant grandson, the Kerrs’ son William Simcoe Kerr. 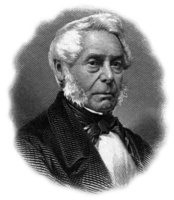 When Absalom Shade* was promoting the Grand River Navigation Company in the early 1830s, Kerr was one of the people he called on to persuade the Indians to purchase shares. At the time of the rebellion of 1837, about 100 warriors volunteered to serve under Kerr against the rebels. Someone had convinced them that if the supporters of Mackenzie and Charles Duncombe* gained power the Grand River lands would be confiscated. Although Kerr cannot be identified as the source of this rumour, he claimed to believe in its truth. During the summer of 1838 he and some Six Nations volunteers were involved in capturing the Short Hills raiders [see Jacob R. Beamer]. 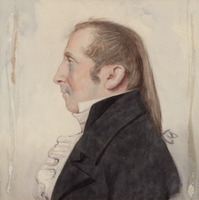 Kerr was considered for appointment to the Legislative Council in 1838, but his name was dropped from the final list. 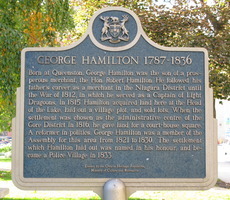 At the time of his death he was living in the house that Joseph Brant had built at Wellington Square. His wife survived him by only two days. PAC, RG 68, General index, 1651–1841. 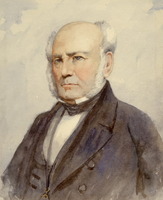 Arthur papers (Sanderson). Rebellion of 1837 (Read and Stagg). Select British docs. of War of 1812 (Wood). Valley of Six Nations (Johnston). Death notices of Ont. (Reid). D. R. Beer, Sir Allan Napier MacNab (Hamilton, Ont., 1984). 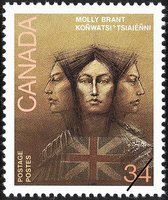 C. M. Johnston, Brant County: a history, 1784–1945 (Toronto, 1967), 21–22, 40; Head of the Lake (1958). E. A. Cruikshank, “Post-war discontent at Niagara in 1818,” OH, 29 (1933): 14–46. G. J. Smith, “Capt. Joseph Brant’s status as a chief, and some of his descendants,” OH, 12 (1914): 89–101. In collaboration, “KERR, WILLIAM JOHNSON,” in Dictionary of Canadian Biography, vol. 7, University of Toronto/Université Laval, 2003–, accessed April 19, 2019, http://www.biographi.ca/en/bio/kerr_william_johnson_7E.html.